‘God’s Needle’ is the inspiring story of a young nurse who dedicated her life to nursing a nation. She set up a little clinic under a mango tree treating those who came to the strange white girl, and the rest as they say is history. Lily brought healing to the entire area and also preached, demonstrated and translated the gospel (inventing an alphabet around the local dialect). 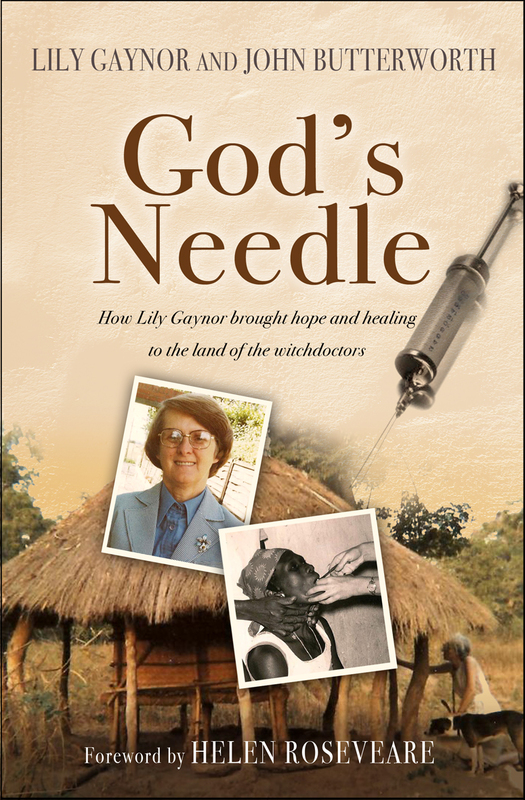 This book documents Lily’s incredible achievements: the on-the-spot medical stories, the opposition she faced from Witch Doctors, the colleagues who tried to convince her that her efforts were insignificant and worthless, and the love, hope and restoration she brought to a nation. God's Needle by John Butterworth; Lily Gaynor was published by Lion Hudson in June 2013 and is our 20332nd best seller. The ISBN for God's Needle is 9780857214560. Be the first to review God's Needle! Take a peek at some articles related to God's Needle. Got a question? No problem! Just click here to ask us about God's Needle. In 1957 freshly qualified nurse and WEC missionary Lily Gaynor set sail for Guinea-Bissau, to live among the Papel tribe. Tuberculosis, malaria, and typhoid were rife. Children were grossly malnourished; witch doctors flourished. Lily set up a clinic under the mango trees, administering penicillin ('God's needle'). Medical care didn't stop there: pigs, cows, rabbits and hens all passed through Lily's hands. Many villagers suffered agonizing toothache: Lily learned emergency dentistry. The book is filled with one arresting medical story after another. In the afternoons she learned Papel. In the evenings she invented an alphabet, and finally translated the entire New Testament, now published with Wycliffe Bible Translators. She faced considerable opposition. Witchdoctors cursed; new converts were threatened with death; senior colleagues opposed her medical efforts. Yet today Guinea-Bissau has one of the biggest national churches in West Africa.